Over the recent years we have grown to love a good beard. Whether they’re bushy or trimmed, scruffy or combed to precision, beards rule. Every goatee, stubble and bush alike need a decent beard trimmer to transform face fluff into a beard even facial hair haters would be jealous of. Here we have the ultimate beard styles for 2018. Stop combing your beard or twisting your moustache, it’s time to get serious. Beards are no joke. Accept your challenge to grow and groom the best beard style and rise to beard godliness. You can’t go wrong with a bit of stubble. Plus, every face shape suits a little stubble so anyone can pull it off. 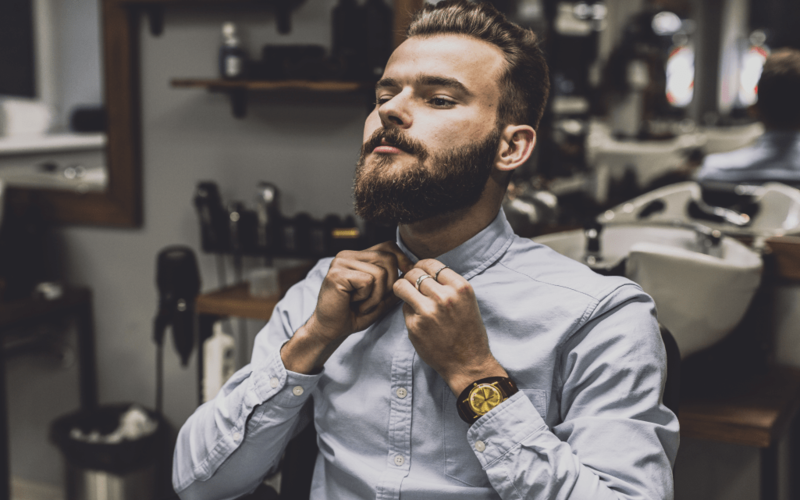 To achieve the most appealing stubbly beard, make sure you keep your neck hair very short, if not completely shaven off. Keeping your neck hair the same fullness as your facial hair can make your stubble look like you simply haven’t been bothered to shave. You can have a fuller stubble beard to go with a scruffier style or try a closer shave for a smart and neat style. The only annoyance of stubble is having to shave fairly often. You should also make sure you look after the skin underneath your stubble well. This is because shaving over stubble can cause skin irritation and/or ingrown hairs. Handlebar moustaches are coming back into fashion and they are the ultimate gentleman beard. However, pair it with a long, full beard and you can modernise the timeless handlebar moustache. A handlebar moustache is also handy for styling your lip hairs away from your mouth. Plus, the full beard makes this classic into a primal yet gentlemanly look; which is hard to accomplish. Getting the right beard oil and wax will greatly improve the look of your beard and handlebar moustache. Although it will probably take a lot of practice to get your moustache perfectly curled into handlebars. Think Johnny Depp. The goatee-mix-moustache. Shave off your sideburns and any hair on your cheeks, shave your chin beard into to an inverted T. In other words, your chin should look as though it has been dipped in a brown paint and then brushed up towards your lip (one stroke, centred). Although not the traditional way to picture an inverted T beard, it does get you to envision the beard well! As the name suggests, these beards are bushy and messy. You want it to seem as though you’ve just woke up, but in style. Keep your caveman beard long and untamed. The full caveman can be a great neck and face warmer during the winter, so it’ not only stylish but also practical. Unless it’s the summer, in which case, you might want to reconsider your choice of facial hair! What products do you use on your beard? Beard oils, beard soaps, beard shampoo and conditioner; we want to hear about all the products you swear by. Drop us a message in the comments.